For the inspection and maintenance of vehicles with a manufacturer’s warranty, many owners fear disadvantages if the work is not done by an authorised workshop. With TecAlliance, workshops and customers are on the safe side: for repair or maintenance they can get the right data in high quality at any time – digitised and standardised. 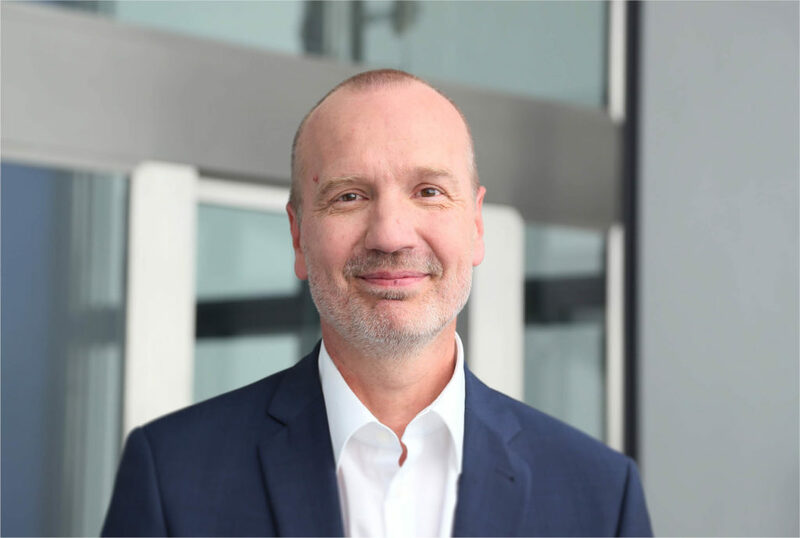 Ralf Pelkmann, Executive Vice President Information Management at TecAlliance, explains the reasons. What data does TecAlliance offer for vehicle repair and maintenance? RP: TecAlliance can deliver 100 percent of the information needed for repair and maintenance that is provided by the vehicle manufacturer. This guarantees that every workshop can perform all jobs according to manufacturer’s specifications, including glass and accident repairs. This contradicts the widespread erroneous belief that you must go to an OE workshop to maintain the manufacturer’s warranty. The data and solutions from TecAlliance give workshops the security to present themselves with self-confidence in the market and actively advertise this service. From which sources does TecAlliance get the spare parts data and maintenance and repair information on which the various solutions for the independent aftermarket are based? RP: For twenty years we have been collecting spare part data and maintenance and repair information from the industry and linking it with vehicle and market data. The vehicle manufacturers are the exclusive source of this information. For the TecDoc Catalogue we talk about IAM data. Around 99 percent of the spare parts manufacturers for the European market (more than 700 brands) deliver parts data to us. Our database includes 6.3 million articles, 4.2 million pictures and 224 million linkages with vehicles. We have established the TecDoc standard internationally in the industry; through the link with other formats like ACES and PIES or MAN we are compatible worldwide. Who uses the products and data of TecAlliance? RP: A total of 1.3 million users worldwide use TecAlliance data. These include workshops – who depend on Repair & Maintenance Information (RMI) and spare parts data every day. Also, parts distribution, leasing companies and of course parts manufacturers. For the IAM in Germany and Europe, one can assume that 100 percent of the market participants use at least one TecAlliance product. The independent workshops trust TecAlliance because they can use our manufacturer-compliant repair and maintenance information for vehicle maintenance according to the manufacturer’s specifications while maintaining the manufacturer’s warranty. TecAlliance data is all uniformly structured, which makes it easy to use the spare parts and repair and maintenance data; particularly in the workshop it saves a lot of time and improves efficiency. How does TecAlliance meet the needs of independent workshops? RP: To provide service according to a manufacturer’s specifications, you first have to know them. This search process is becoming even more difficult and sometimes it is a real “time-eater” in the workshop, particularly those with more than one brand. With the development of our service finder, we took care that just the current mileage and date of first registration are enough to determine the correct service prescribed by the vehicle manufacturer. For each repair and each service, the workshop automatically sees all the needed spare parts – for exactly that vehicle. These instructions are not based on general information from similar vehicles; with a lot of effort we internally determine the exact information for each individual vehicle. Already during the calculation of the upcoming repair or maintenance, the workshop knows which special tools, if any, are needed to complete the job. Already many years ago, we began to make this information available to mechanics within the repair instructions. Through close contact with our customers, we recognised that it was already needed to make an offer. We further developed our database to meet the needs of our workshop customers. Today they can calculate repair costs much more realistically; even before the vehicle comes into the workshop, arrangements have been made for all organisational needs. The depth of information extends to the follow-up costs, i.e. painting a replacement fender. How is TecAlliance different from other suppliers? RP: The data, products and solutions that TecAlliance offers the IAM are unique in the world in their nature and combination. We can meet all needs in the complete automotive supply chain because we have all the relevant information for workshop, trade and industry ready and up to date. And it is standardised, networked and integrated, so that all the data can “speak” to each other. Each piece of information always has a clear context: a vehicle always has the same ID and the same description. This ensures that when selecting the vehicle all available information in its full variety, including all RMI data, is visible and can be called up. The data and information are available as individual data and custom data packages. How current is the information in the Repair and Maintenance database? RP: We serve the market quasi just in time. All critical information, like recalls or changes in manufacturer information, is updated by TecAlliance the same day. The basic delivery – that is vehicle ID, repair instructions, special tools, labour values, service plans or electrical and diagnosis data – is made in monthly cycles. How will TecAlliance react to the future changes in the independent repair market? RP: The repair market will change even faster than ever. Sales and growth will shift to different countries. Digitisation will be a strong driver for innovation and change, which will bring great changes to the repair market. To ensure fair competition in the market as a whole in the future, we are also working on the framework, i.e. through cooperation with institutions and associations. And we take care that, thanks to TecAlliance, workshops now and in the future can always rely on having the current, correct data to perform a repair or maintenance – digitised and standardised. Not with ‘dead’ formats like PDF but only with digitally usable information and intelligent solutions, which support their own processes in all directions, can workshops win new customers and operate profitably in the future.